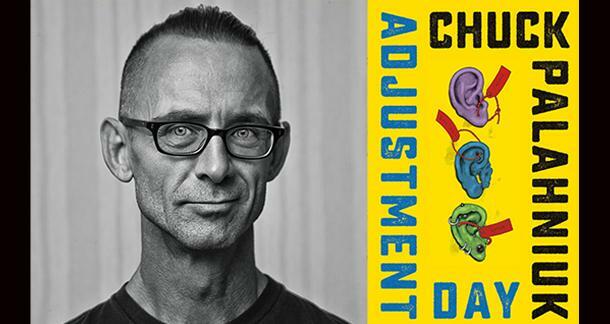 Read an Excerpt from Chuck Palahniuk's "Adjustment Day"
Can't wait for Chuck's new novel, Adjustment Day, to drop May 1st? The Cult's got you covered! They're hosting an exclusive excerpt from the new book, courtesy of the good folks at W.W. Norton. 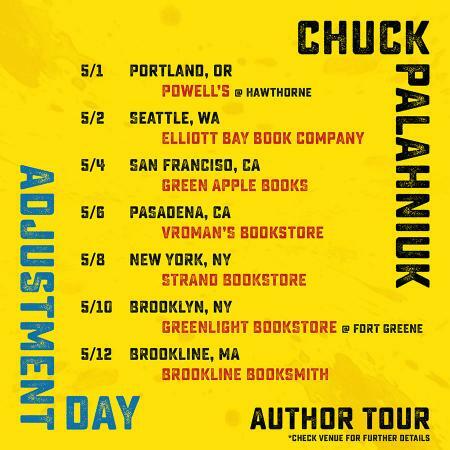 Also, don't forget that Chuck's tour dates have been announced and that you can purchase tickets for them today! Can't wait to buy this book! I still get excited when CP gives us a new offering! Going to the Vroman's signing--can't wait!